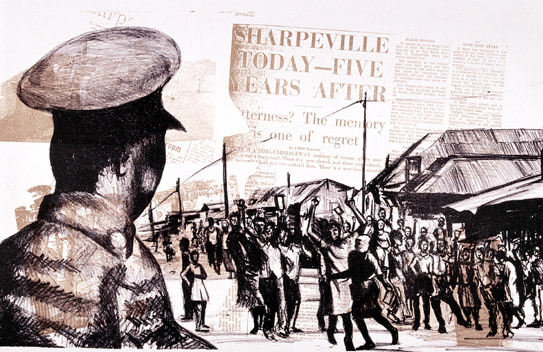 View Sharpeville massacre and over 3,000,000 other topics on Qwiki. 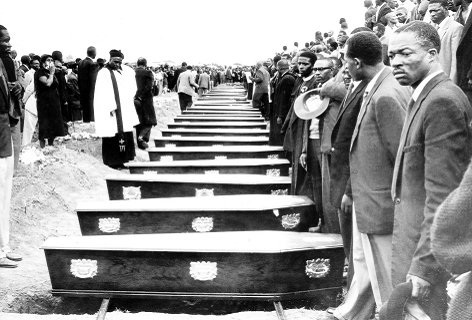 The Sharpeville Massacre in 1960 began by blacks protesting the pass laws. They burnt their reference books and refused to put out the fire, which resulted in 67 deaths. The ANC was outlawed, and non-violence movements ended. The South African government passed a law that said they could arrest without a warrant, which made it easy to arrest Nelson Mandela.